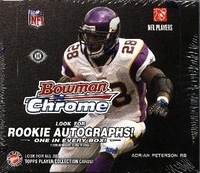 Buying football cards by the box has the same thrill as buying the sports cards by the pack does only multiplied by the number of football card packs in the box. 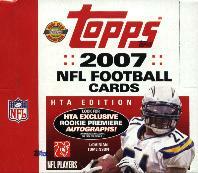 It's also the favorite way for people that build football cards sets by hand to buy cards. 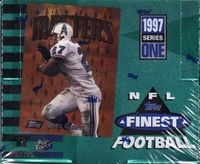 1997 Pinnacle Zenith NFL Football Card Box.